How Intently Are We Praying? than we would like to admit. Though there are many ways to pray, one way is prayer walking. I will never forget how we learned the value of prayer walking. We had been trying to start a church in a nearby village and had only met opposition. At one point, four people drove over from that village to tell us to stay out of their town. But knowing there was no Gospel witness in that town, we had to find a way to break down the spiritual walls that held us back. Someone told me about prayer walking and I thought that since nothing else had worked, maybe we should try prayer. We sent out the word to Baptist Student Union groups across the nation and invited them to come spend a week praying over this little town. We knew it was a long shot; after all, most students want to spend their spring break at the beach partying, not in a rural town in New England praying. But word began to spread that prayer warriors were needed and college students from across America began to show up. Over a six week period nearly two hundred students came and prayed in that little New England village. Some stayed only for a few hours, some stayed a day, some stayed a week, all prayed. And the God of the Universe heard those prayers and within months a new church was started, and one of the people who came was the leader of that band of four people who had told us to stay out of their town. Prayer gives us the spiritual power needed to complete the task and works wonders when we will do it intently. The question we must answer is, how intently are we praying? “Daddy, does Vermont have grass?” That was the question my five year old daughter asked after we have been living in Vermont for a few months. We had just endured their worst winter in 20 years and had only seen snow covered ground the entire time. I assured her that Vermont did indeed have grass, and she was excited a few days later when a few blades of frozen grass finally poked through the snow. That first winter the temperature outside was cold, really cold. But what was harder to adjust to was the coldness we found toward the Gospel of Jesus Christ. Almost everyone we met told us they were not religious and it did not seem to bother them. We realized quickly that this task of winning New England to Christ was going to take a lot more work than what my wife and I could do in our own. Having been a youth pastor in Anderson, SC before moving to New England as a missionary, most of my ministerial friends were other youth pastors. I got on the phone and began to call them and ask them to bring their youth groups to help us. Concord Baptist Church in Anderson, SC, was one of the first to respond. They came to Vermont numerous times to help us in our mission work and now they are coming to Connecticut to help us there. Over the years they have done many different types of ministry, but most recently they sent us what we affectionately call the “Grandmother’s Brigade.” It was bus full of mostly senior adult ladies. They stayed with us nearly a week and did several different types of ministry, but what will always stick out in my mind was their ministry on a secular college campus. They made dozens of homemade cookies, set up a booth near the student activity center and gave out the cookies, along with invitations to church and DVDs with a Gospel movie on it. Who can say no to a grandmother offering a homemade cookie! They connected to more students in three hours than I had been able to in the previous three weeks. We already have them booked to come back this fall and we hope to put them on two different campuses sharing Jesus with students through cookies and Christian DVDs. Then there was Barker’s Creek Baptist Church in Honea Path, SC. It was a rural church with a heart for reaching the world. They came again and again to paint church buildings, renovate space to create Sunday School rooms and hold Vacation Bible Schools in tiny towns around New England. I remember one old church building they were painting. The town was so rural they had not been able to find anyone with one of those lift cranes to reach the high places. So a group of high school students that had taken a repelling class at summer camp repelled out of the steeple painting as they went. The highest part of the back of the church was not assessable from inside the church and we built some scaffolding but ran out of material and it only went part way up. So we had to put a 20 foot tall ladder against the building on top of the scaffolding. It was a pretty precarious situation and the pastor, Randy Creamer, refused to let anyone go up and paint that part of the building, he said he would paint that part himself so that if anyone fell and got hurt, it would be him. As he scooted up the ladder with a can of paint and a brush, a dear older saint grabbed a folding chair out of the church and sat it down near the bottom of the scaffolding. Not quite sure what she was up to, I asked her why. She said “That’s my pastor up there and he’s too valuable to the Kingdom for us to loose, so I’m going to sit right her at the bottom of this rickety scaffolding and pray for God to protect him while he paints.” And that is what she did for the next three hours. Randy finished painting and made it safely down the ladder back to the ground and the dear sweet saint folded up her chair and went back inside simply saying, “My work here is done.” Whether painting, or praying, we could always count on Barker’s Creek Baptist Church to complete the task and get the job done! Though each year is different, in some years we have hosted as many as 100 mission teams who have come to New England to help us complete the task of sharing Jesus with as many as possible. After more than 20 years of missionary service, the number of total teams we hosted in some way becomes too numerous to keep track of, but there have been a lot of mission teams. Each team had some specific project or task they were assigned, but their real purpose was to share the Gospel and sometimes they got to do it in ways that was not part of their official task. Whether prayer walking, painting a building, expanding Sunday School rooms, holding a Vacation Bible School or a backyard Bible club or a sports camp, the goal was always to find a way to share Jesus and complete the task of evangelism. Though much has been done, there is still more to do. If your church is looking for a mission project? Consider New England!!! Here are the notes from my Palm Sunday sermon this morning. Praying it will be a blessing to many. In yesterday’s post I wrote about living in a small rural village in Vermont and how the Lord used some unusual circumstances in our lives to bring a friend named Barbara to faith in Christ. Read that post herebefore reading the rest of this post. Though we loved our time in that rural mountain village, eventually the Lord moved us to Hartford, CT, a much more urban area. We don’t see many cows where we live now, like we did in Vermont, and all our roads are paved, unlike Vermont’s many dirt roads. Now we deal with far more traffic in one day than we did in months of rural Vermont life. But despite all those differences, we find that the people are pretty much the same. The people seem to drift through life without much direction, without much purpose, without much hope, because they have nothing worthwhile to be fully devoted to. We see “Barbaras” everywhere we go. Broken people who need to be transformed by the power of the Gospel and become whole hearted followers of Jesus. As my wife and I share our faith with those around us, we hope they will see something in us that moves them. We want them to see that there is more to life than just getting through each day with the same old problems, difficulties and challenges. We want people to hear about Jesus and have the chance to become whole hearted followers of Him. This past year God was gracious and allowed my wife and I to be part of planting seven new churches around Connecticut. This was the most successful church planting year we have ever had and much of that success has to do with the reorganization of the North American Mission Board and its more clear focus on church planting. Those seven churches include five that speak English, as well as one that is Haitian and one that is Ethiopian. Though we try not to play favorites, if we were honest, we would have to admit that we are partial to the church where we are members. Faith Fellowship started as a Bible study in our home and now meets on the University of Hartford campus. Almost the entire congregation is made up of college students and young adults. My wife and I are 23 years older than the next oldest couple in the church. The work is exciting, but it can also be hard. Since so many people in the church are college students, there are many weeks our tithe check is the only one in the offering. We are the only family in the church that has a garage, so all the sound equipment and other stuff is stored in our garage and sometimes one of us has to park outside, which is a pretty big deal during a harsh New England winter. Each of these things challenges our level of devotion to God, but the Spirit always sends us encouragement at just the right time. I fondly recall the Sunday that Kayla, a post-graduate student working on her doctor’s degree, said, “Before I came to this church I only knew a little bit about God and hardly anything about the Bible. But one Sunday while you were preaching something changed in my heart and in that moment I fell in love with Jesus. Now I want to serve Him with all of my life.” Kayla, and many students like her, is learning how to be whole heartedly devoted to Christ. It is because of your praying, your giving and your encouragement to missionaries like us that both a former drunk in Vermont and a doctoral student in Connecticut are now whole heartedly devoted to Jesus. Now, after two and half years of planting churches in Connecticut, my wife and I are about to enter a new phase in our missionary journey. On April 1 we will complete our time of service with the North American Mission Board. I will assume the role of Executive Director of the Baptist Convention of New England. Though my employer will be changing, that does not mean I will stop being a missionary. Our missionary calling comes from God and is far larger than who writes our paycheck. In this new role I will serve the 330 Southern Baptist churches scattered across the six New England states as they worship in 16 different languages each week and strive to transform their communities into whole hearted followers of Jesus Christ. Please keep praying, giving and volunteering. New England needs ministry partners now more than ever! What Happens When Our Devotion to God is Shaken? I clearly remember that day in November 1993 when the members of Eureka Baptist Church in Anderson, SC, helped us pack our big moving truck and off we drove to Vermont. Only months before we had never even heard of Vermont, but through a partnership South Carolina Baptists had with New England Baptists, our church had taken a summer mission trip to Vermont. While there I learned that only 4% of the people who live in New England attend an evangelical church. I was challenged by how small the churches were and how quickly the pastors came and went because the people were often unresponsive to the Gospel. I also heard of a small mission church in a mountain village that was on the verge of closing down. They desperately wanted a missionary to come help them reach their community for Christ. My wife and I began to feel a calling to leave the strong and well established church we served in Anderson, SC and move to Vermont to serve as missionaries with the North American Mission Board. I am not quite sure what we thought would happen when we accepted the call and agreed to move to Washington, Vermont, a little village with only one paved street and more cows than people. But we knew that we wanted to serve the Lord and whatever it took to do that, we had promised God we would do it. There was already six inches of snow on the ground when we arrived and we did not see grass again for six months. The little house we were living in had such crooked floors that we had to put wooden blocks under certain legs of the furniture to keep it from falling over. It was cold. The house was so poorly insulated that one entire side had to be wrapped in a giant wall of plastic to keep the wind out. The church was small. We were making $60 a week from the church and $500 a month from the North American Mission Board and trusting God to provide whatever else we needed. During our 8 years there we saw God do some great things. Fifty four adults came to faith in Christ and the church grew from less than 20 to more than 90 in regular attendance. But the work was hard, and slow, and fraught with perils. If we had known all the perils that would come, it might have scared us away. But God often keeps us in the dark about the future, and honestly, that really is for the best. Perhaps the greatest challenge to our devotion came one winter after we had been missionaries for five years. We were on the way into a bigger town a few miles away to visit a community member who was in the hospital. While driving on a narrow winding road we were hit head on by a drunk driver. The accident was quite severe. My wife’s arm was broken. My leg was shattered so badly that the paramedic who first arrived on the scene said they might have to amputate it. But the greatest injuries happened to my young son who was in the back seat. His back was broken and they doctors told us he had massive internal injuries. I think most Christian adults can endure whatever we need to in our service to the Lord, but when our children have to pay the price for our devotion to God, even the most committed begin to question if our devotion is well placed. In the days that followed we learned that the drunk driver who hit us was not a stranger. She was the cashier at the small country store across the street from our house. Her name was Barbara and she nearly killed my family. It took me nine months of physical therapy to be able to walk normally again. It took my son months in a body cast to recover, though I am pleased to report that God was gracious and gave him a full recovery. He is now a junior at a Baptist college in Philadelphia preparing for a life of missionary service. I wish I could say that during all of this recovery time that I was so devoted to Jesus that I instantly forgave Barbara and loved her despite what she did to our family. But sadly, I must report that that was not the case. Even missionaries can get angry and bitter. I had some very dark moments when I was mad at Barbara for what she did to us and mad at God for letting it happen. At one point I even prayed that Barbara would get drunk again and drive her car into a tree and die. What kind of missionary prays for that! Surely not one who is truly devoted to serving the Lord. But as time went by the Lord began to deal with my lack of forgiveness and my growing resentment. Finally there came a cold Vermont winter night when God and I argued for quite a while. At one point I angrily said to God, “Do you know what THAT woman has done to my son?” And God, in the still small voice of His Spirit simply said back to me, “Terry, do you know what you have done to my Son Jesus? Your son is alive and will eventually recover. My son had to die for your sin. Who are you to harbor anger toward another sinner?” That night I promised God that if He would help me, I would forgive Barbara. It took time. It took work. It took me going to visit her in prison. It took me inviting her to church. It took a lot of prayer. But one day I was able to forgive her. And one day she asked me to come visit her home and tell her about this Jesus whom I seemed so devoted to. So a deacon and I went to visit her. Sitting in her kitchen, surrounded by more liquor bottles than this Baptist missionary had ever seen before, Barbara repented of her sins, and gave her life to Christ. Since then she has never had a drop to drink and all these years later is still faithful to that little village church. She remains fully devoted to the Lord and TODAY is her birthday. Happy Birthday Barbara and THANKS for helping me deepen my devotion to our Lord. In our last installment we discussed how to use biblegateway.com for more advanced studies that use the biblical languages. Biblegateway.com is a great tool, especially since it is free. Its advanced functions have some limitations, just as you would expect any free resource to have. We will discuss what these are, and how to work around them. Finally, we will look at some commentaries that are available on the site. The first shortcoming pertains to Old Testament study. No text-critical information is provided along with the Hebrew text. This is a problem because sometimes we have to determine what exactly the original text said in a certain place (the discipline of textual criticism) before we can interpret it for a sermon. This is not insurmountable for preachers and teachers, however. One can work around it by comparing several English versions with the Hebrew in order to catch differences in the text. This is made easier by using a good study Bible with footnotes that give variant readings. When you read them side-by-side, look for differences that appear to be more significant than a different word choice for the same concept, or a different English word order. As you do this, bear in mind that none of the differences you may find affect any major points of doctrine. Greater certainty of the text and its interpretation lead to greater confidence in the pulpit, however, so it is still important to be as sure as possible of the text. The Greek New Testaments available on biblegateway.com have their limitations as well. The Scrivener, Stephanus, and Westcott-Hort, all older editions, were mentioned in the last post. The modern edition of the Greek New Testament that is used by most biblical scholars, the Nestle-Aland 28th Edition/United Bible Societies 4th Edition (NA-28/UBS-4) is not available. The modern edition that biblegateway.com does have is the SBL Greek New Testament (SBLGNT). This is a scholarly alternative that differs in more than 500 places from the NA-28/UBS-4. As in all textual variants of the New Testament, none of the differences affect any core theological issues. One may use the same comparison technique described above to investigate any passage where the reading is debatable. The concordance feature can be employed while using the Greek versions, but it is a little more complicated than using it in English. First, set up your screen so that the only version displayed is in Greek. Second, enter a verse address in English in the search box. This will bring up the verse in Greek. Then you can highlight, copy, and paste a word or phrase from that verse into the search box, click “search,” and the results will be all the occurrences of that word or phrase in the Greek New Testament that you are currently using. Biblegateway.com searches complete words and words plus suffixes, just like in its English concordance function. If you paste only a portion of a Greek word into the search box, the concordance will search for all words in the Greek New Testament that start with that portion, no matter how they end. The concordance feature does not work in Hebrew. This is an unfortunate oversight that we hope will be corrected someday. There are several commentaries available on biblegateway.com. Hover over the “Study” link at the top of the homepage. This will reveal a two-column drop-down menu. At the bottom of the right-hand column is a link to “more resources.” Click this, and you will arrive at a screen full of links, one of which is for “commentaries.” Click here, and you will have the choice of an abridged version of Matthew Henry’s Commentary, the Reformation Bible Commentary, the Asbury Bible Commentary, the IVP New Testament Commentary, and a series of sermons on the Gospel of Mark entitled “A Ransom for Many.” These represent a variety of theological positions within conservative Protestantism (Reformed, Wesleyan, Baptist, and inter-denominational). All are good for sermon preparation and general study, even though some are limited in scope (the IVP commentary only covers the New Testament). Those who have the money and time to invest in expensive study aids should by all means do so, for biblegateway.com will not meet all the needs of an advanced Bible student. For most users and most purposes, however, these concordance, parallel, biblical language, and commentary tools work very well, and the price is right: free! Keep studying and preaching, and may the Lord bring the harvest! NORTHBOROUGH, Mass. (BP) -- Terry Dorsett, a New England director of missions and church planting catalyst, was elected executive director of the Baptist Convention of New England March 12 by a unanimous vote of the convention's board of directors. "My vision for the Baptist Convention of New England," Dorsett told Baptist Press in email comments, "includes: engaging ethnic pastors in key leadership roles, increasing our leadership development ministries, building a sense of team ministry between the state convention, our seven associations and the North American Mission Board, enhancing our efforts through the Baptist Foundation of New England to provide additional resources for ministry and partnering with other New England evangelicals who share our love of the Bible and burden for lost souls." 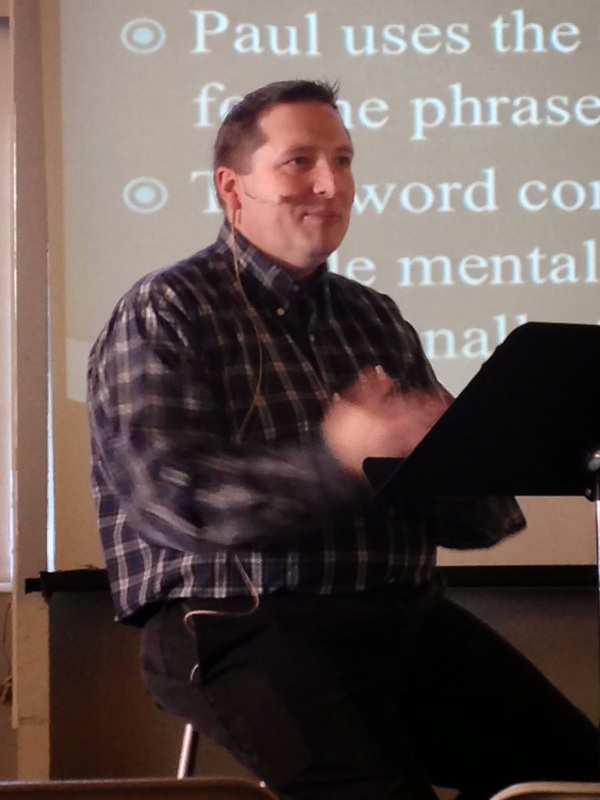 Dorsett added, "I plan to invest a portion of my time building relationships with pastors and key leaders so that I can hear their real needs and respond accordingly." 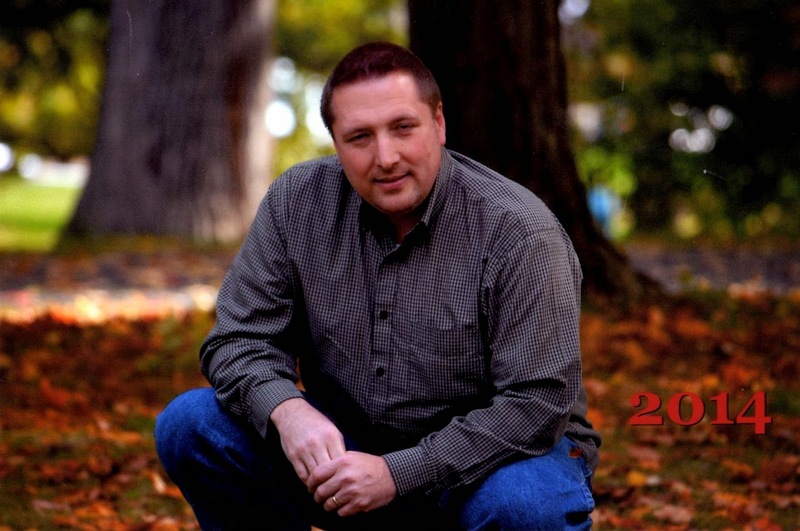 Dorsett is coordinator of the Billy Graham Evangelistic Association's My Hope outreach campaign in Connecticut and Rhode Island. He has served on church staffs in Vermont, South Carolina and Virginia, planting one church in Vermont and revitalizing another. 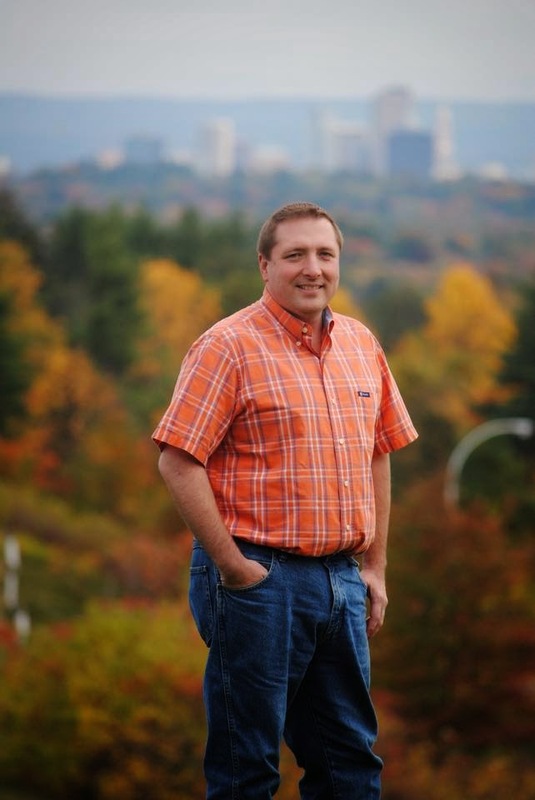 After interviewing Dorsett, the BCNE board of directors "took some time to pray for clear discernment," board chairman and BCNE interim executive director John Revell wrote in a letter to New England Baptists. "It became clear to us all that the Lord had His hand on this process and on this conclusion, and we all felt compelled to vote accordingly." Wideman, who retired in December after 13 years as the BCNE's executive director-treasurer, served in January as interim executive director before Revell took over in February. Wideman led the six-state convention with "a passion for building missional churches," according to a resolution adopted by the Southern Baptist Convention's Executive Committee in September. He helped the convention minister amid "changing regional demographics by nurturing numerous ethnic congregations" and by nurturing "a growing number of native New Englanders who have chosen to establish themselves in their home region to serve as pastors, church planters and lay leaders." During Wideman's tenure, the number of BCNE cooperating churches increased from 230 to 340, baptizing more than 17,000 people, an average of 1,300 per year, the resolution states. In Cooperative Program giving, the BCNE has increased the percentage of church gifts forwarded to SBC CP missions and ministries from 21 percent in 2001 to 25 percent in 2013. 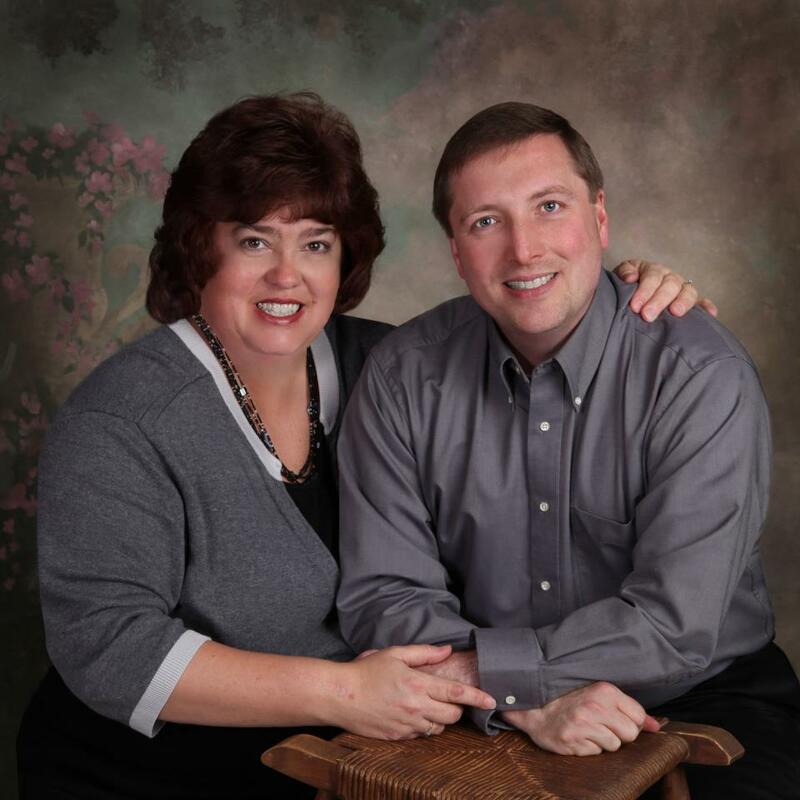 "BCNE Baptists have deeply appreciated the leadership and ministry of Dr. Jim Wideman over the years and are grateful for how the Lord blessed the BCNE through him," Revell, pastor of Stamford (Conn.) Baptist Church, wrote. "Now, on behalf of the board of directors, I can share that we are excited at how the Lord has set the stage for taking the BCNE to the next level in the passionate pursuit of making disciples of all nations." Photo credit: Chris Beltrami, Beltrami Studios, Barre, VT. Used by permission. My wife and I have three children. They are all fairly close in age. I remember when all three of them were preschoolers, it seemed like our entire lives revolved around feeding times, nap times and diaper changes. We rarely had a free moment and life was always hectic. Life got a little calmer when they were all three elementary school aged, but then the teen years came and we had three teens at once. Life revolved around driving lessons and sports events and how late they could stay out on a school night. That was surely a wild period! Then they all went off to college, and suddenly, the hectic rush was over, the house was quiet and our evenings were often free. We had entered a new phase of life called Empty Nest. During the time in which our kids were growing up, so many of our choices revolved around the well-being of our children. We chose a home in a neighborhood that was safe and in a community with lots of opportunities for kids. We chose friends who had kids of similar ages. Because we are Christians and our faith is important to us, many of the choices we made about the kind of church we wanted to be part of involved our children too. If the churches we were connected to during those years did not have programs for children, then we started such programs ourselves. It was important to us to pass our faith on to our children. But when the children all left home for college, it began to occur to us that we could live anywhere without having to think about how it impacted the kids’ daily lives. Likewise, we could go to church anywhere, and it did not matter what type of programs they offered for children because that phase of our lives was over. Many Empty Nesters are tempted to start skipping church once the kids are gone from home. Sunday often becomes a day to play golf or engage in other recreational activities. But for us, that was not an option, our faith is too important to us, but clearly we no longer had to be part of the same type of churches that we once did. We soon realized that passing our faith on to the next generation was still important to us. Though our own children were grown, that desire to impact the next generation remained. When my job shifted and we moved to a different state, we still wanted to find a church that impacted the next generation. We bought a condo near a university, where we already knew some students. We invited them to our home for a couple of Bible studies and before we knew it, we were part of a new church being formed on the University of Hartford campus. My wife and I are more than 20 years older than the next oldest couple at church, but we enjoy investing our lives in the next generation. Whether it is holding a Bible study in our home, or storing all the church sound equipment in our garage, we still have a role to play in shaping the next generation. For us, Empty Nest means using our free time to invest in the lives of young adults, not riding a golf cart around a course or taking part in some other recreational activity. Touching the lives of young adults is very meaningful to us, and keeps us feeling young. The need for investing in the next generation is huge. Studies show that up to 70% of young adults will leave the church during their college years. Empty Nesters can change that statistic by becoming involved in churches that care about young adults. Empty Nesters can offer to mentor, encourage, guide and teach that generation about the importance of faith in daily life. We want to encourage other Empty Nesters who no longer need a nursery, or a children's program, or a youth group, to consider a new adventure. Find a church near you that reaches out to young adults and join it. Use your life skills and experience to invest in the next generation. And if there is no church near you that reaches out to the next generation, become part of a core group that starts a new church on or near a college campus. It’s a lot of work, but it’s far more fulfilling than riding a golf cart around in circles for the next 20 years! In part one of this series, we discussed how to use biblegateway.com’s basic study functions, such as the concordance and reading parallel English versions. These are suitable for Bible students at all levels. In installments two and three we will cover the more advanced features. Most of these will be more useful to pastors and others who are interested in using the biblical languages for sermon preparation or other higher-level study. We previously learned how to use the parallel button in order to read multiple English translations on the same screen. After you open parallel versions, the concordance function will search all of them at once. If you enter a term or phrase in the search box while multiple versions are on the screen, the result will be a greatly expanded list of verses that are marked by the translation that each one appears in. This may alert you to differences of opinion on what exactly is meant by each translation in a given verse. For example, if you open up the NIV, the NASB, and the New Century Version (NCV) in parallel, and do a concordance search on “love,” you will turn up 861 results. The very first result, Genesis 4:1, appears only in the NIV. Why only the NIV? The other two versions choose different words to express that for which the NIV chooses “love.” At this point there are two options. One is to click on the verse address to the left, which will bring up Genesis 4:1 in the NIV. You can then open the NASB and NCV in parallel to it. The other option is to click on the “other translations” link just beneath and to the right of the verse. This will display a page containing all of the English translations of Genesis 4:1 that are accessible through biblegateway.com. In this way you can multiply the scholarly expertise of different translation teams by comparing and contrasting them, while keeping it in a language (English) that you understand well. Here is where the study capabilities for pastors and scholars really come into their own. If you have some ability in Hebrew or Greek, you can use the parallel function to set up an interlinear Bible by selecting biblical Hebrew or Greek to appear beside the English version of your choice. Interlinear Bibles are great for those who have had basic Hebrew or Greek and want to use them in ministry, but are not comfortable enough with them yet to rely on the original language text by itself. Both biblical Hebrew and biblical Greek are included among the world languages contained in the drop-down menu that is used to select versions to read. The Aramaic portions of the Old Testament are displayed when biblical Hebrew has been selected for display, and an Aramaic passage, such as Daniel 7, is entered in the search box. If you are conversant in another language, such as Spanish, you can read Spanish and English side-by-side in the same way. The Hebrew text available on biblegateway.com is the Masoretic text as found in the Westminster Leningrad Codex (WLC). The WLC is an electronic representation of the standard scholarly edition of the Hebrew Old Testament, the Leningrad Codex B19a. It is maintained by Westminster Theological Seminary (WTS). The consonants, vowel points, and accent marks are displayed. It is not a perfect copy, and researchers at WTS are constantly correcting it to agree with the hardcopy facsimile edition of the original. You can find it beneath the English and Spanish versions under the heading עִבְרִית (the letters for “Hebrew”). The size of the font may be difficult to read, but that can be helped by pressing Ctrl-+, which will enlarge everything on the screen. Four different Greek editions of the New Testament are available: the Stephanus, the Westcott-Hort, the Scrivener, and the SBL Greek New Testaments. They may be found very close to the Hebrew in the drop-down menu, beneath the English and Spanish versions, and under the heading κοινη (the Greek word for “koine,” the language of the Greek New Testament). The Stephanus and Scrivener versions are based on the Textus Receptus, the Greek text behind the King James Version. New Testament scholars today generally consider them to be less reliable than today’s standard scholarly version. If you prefer to use the KJV, then the Stephanus and Scrivener editions will be very helpful. The Westcott-Hort New Testament is the 19th century forerunner of today’s scholarly edition. The SBL Greek New Testament is an alternative modern edition. In the next part we will continue with the strengths and weaknesses of the original language study tools that are available on biblegateway.com, and survey some other resources as well. May the Lord bless as you keep studying and preaching! Many Christian leaders are alarmed by the statistics for how few young adults come to church. Though there are many reasons why the next generation is finding other things to do instead of church, one reason is the preaching. Some churches think they can attract younger adults by watering down the sermon. From my observations, watering down the gospel message actually produces the opposite result because young people believe there is no point in going to church if nothing the church believes has substance anyway. Other churches have attempted to force the gospel message on those who attend through manipulation or guilt based methods. This has not worked either because young adults do not simply accept what they are told; they want to discover it for themselves. Young adults are drawn to passionate preaching that is relevant to daily life. They do not just want a passionate communicator; they also need that communicator to connect whatever is being said to real-life experiences. Many churches have discovered several keys to relevant, passionate preaching. One of those keys is to base the sermon on a single passage of Scripture. Young adults expect something in a sermon other than the pastor’s opinion or some pop psychology thinly disguised as a sermon. Therefore, the entire lesson should be wrapped around a single Scripture passage. Though we sometimes think that using a large number of additional verses helps prove our point that often just confuses those who are trying to follow our train of thought. This is especially true if the young adults we are trying to reach do not have a strong church background. Young people without a strong church background do not know all the Bible stories or where the books of the Bible can be found. Jumping around from passage to passage is very confusing to them. Furthermore, if refer to biblical stories as illustrations, we are going to have to take the time to tell that story to the audience. We simply cannot assume they already know it. Since we can only hold the attention of our listeners for a certain amount of time, we have to choose carefully how many of those stories we might tell in one sermon. The same would be true about using various words that may convey signiﬁcant meaning to a churchgoing audience but that have no meaning whatsoever to a non-churched listener. If we want to use words such as grace, trinity, mercy, redemption, or born again, they will have to be deﬁned. Otherwise a younger audience may have no idea what we are talking about. In addition to using Scripture eﬀectively, be prepared to discuss deep and complex issues with relevant application. If young adults have made the eﬀort to come church, they want to wrestle with the tough questions about life and discover deep answers to life’s perplexing problems. They want to know why evil exists and why there is suﬀering in the world. They want to know why God lets bad things happen to good people if God really is so powerful. 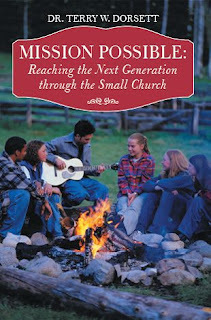 Based on extensive research, Lifeway Christian Resources has discovered that “young adults are allowing these questions to change the way they shop, educate themselves, read, and even listen to music.” Lifeway concludes, “It’s a mystery to many young adults, both inside and outside of church life, why more Christians don’t take their responsibilities [about such issues] more seriously.” Eﬀective pastors, teachers, and Christian leaders spend time studying the deep issues and are prepared to incorporate them into their sermons because the next generation wrestles with these issues on a regular basis. As the sermon draws to a close, it is important to challenge young listeners to consider how the truth of the Scriptures just taught can be applied to their daily lives. Though it is unlikely that they will make any spiritual commitment instantly, they should be challenged to think deeply for a period of time and then act on their reﬂective conclusion at some later point. This is in no way a suggestion that we should no longer give invitations or oﬀer people an opportunity to trust Christ; it is simply a realization that the next generation is going to need more time than may be allotted in a typical closing song of a church service. Inviting them to a prayer room to talk with someone further about the implications of the sermon or giving them an email address or phone number they can text with questions about the sermon may be more eﬀective. Young adults need to be challenged to reflectively contemplate biblical truth and make a commitment to that truth, but only after they have come to a well-considered conclusion. In my own ministry, I often tell students in advance of certain dates when we will be having a baptism or some other spiritual milestone and ask them to come see me before that date if they are ready to make some type of spiritual commitment. That allows them time to consider making a spiritual decision but does not force them to decide without having thought it through completely. When we get frustrated with how long it takes for young adults to move to a place of commitment, we must remind ourselves of that wonderful biblical truth that says no one comes to the Father unless the Spirit draws him or her. Let us teach and preach the Word, ﬁlled with His Spirit, and patiently await the Father to draw the next generation to Himself. Learning to communicate with the next generation is a challenge for those of us who are over 40. Is it better to tweet than to email? Is it better to use a text than a tweet? Is a podcast better than a blog? Does an effective power point communicate better than a video? When we have a face to face meeting, do we meet at Starbucks or Dunkin Donuts? 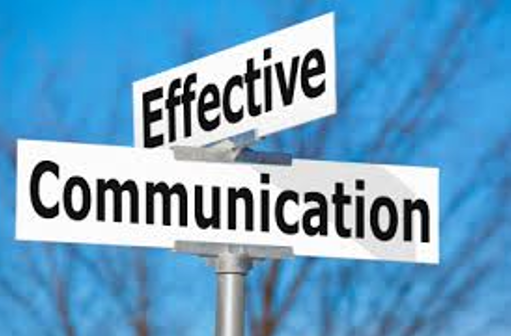 Regardless of how we communicate, we must be conscious of avoiding the “I versus you” syndrome in our communication. I recall participating in a discussion group at a church where we were studying a passage of Scripture that had some strong words that are sometimes difficult to apply to our lives. The leader of the group shared stories of his own journey of faith, which were very moving. However, as the discussion wore on, I noticed that most of his comments began with statements like, “I did this and you need to do it too,” “I stopped this behavior, and you need to stop this behavior too,” and “You need to change the way you think, feel, and act and become like me because I have overcome these problems.” The leader, perhaps unintentionally, seemed to imply that he had all the answers and had everything about this particular issue ﬁgured out. After a while, his moving stories started to sound more like arrogance than empathy. It also became clear that the leader assumed the people in the discussion group could not live right until they changed their behavior to be more like his. While his story was powerful, several of us in the group thought of half a dozen other ways people might apply that Scripture to life and produce positive change. Not everyone would take the exact same journey that this well meaning fellow had taken. By the end of the evening, we found it difficult to get past the constant “I versus you” statements. When communicating with young people, it is important to share the stories of our own spiritual journey, but we must avoid the I versus you style of sharing. That type of sharing sounds arrogant and condescending to the next generation. We must learn to use "we and us" statements instead of "I and you" statements. Using we and us statements helps everyone feel as if the person communicating is part of the group instead of above the group. This does not mean that we can not talk about difficult issues; it just means that we should not create an “I versus you” environment in the process. Because young people will perceive this type of environment as being judgmental, they are unlikely to want to engage in a second dose of hearing how great Christians think we are. Retraining ourselves to use we and us statements instead of I and you statements can be quite a challenge. Though every word of the preceding statement may be technically accurate, it sets the speaker up as "better" than the "hearer" and to many people that is arrogant, and therefore, a less effective style of communication. That type of statement expresses the need to turn away from negative behavior but does not put the speaker above the group. To the contrary, it puts the speaker and the listener on common ground. The next generation responds much better to this type of inclusive statement than to one with an I versus you perspective. Whether we are posting a message on Facebook, sending a tweet, text or email, making a podcast, posting a Vine or Snapchat or writing a blog, we must retrain ourselves to use we and us statements instead of I and you statements. Though it may be a challenge for those of us over 40, it is a challenge worth engaging in if we hope to communicate well with the next generation.